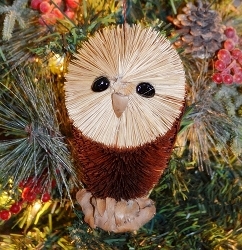 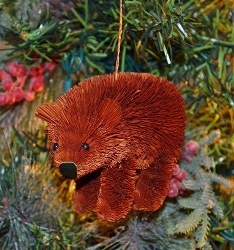 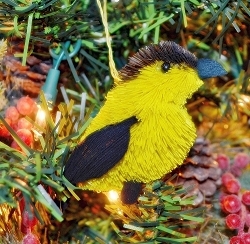 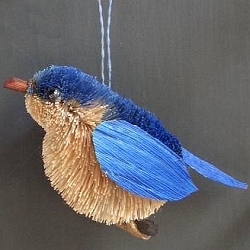 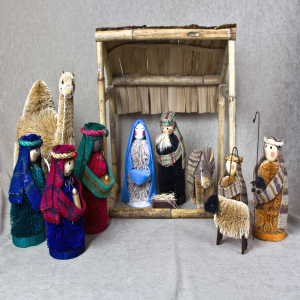 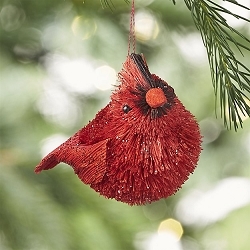 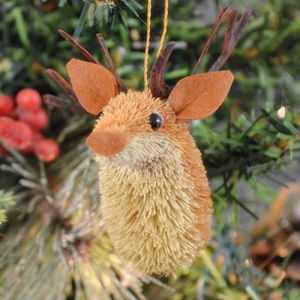 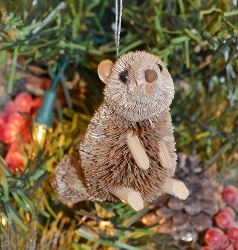 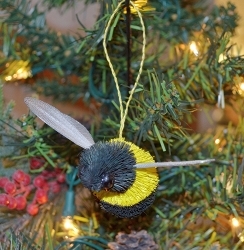 Cute, Posable, Eco-Friendly, Vegetable Fiber Animals and Ornaments! 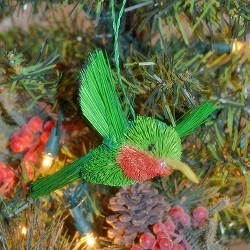 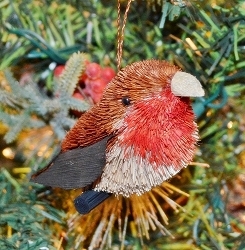 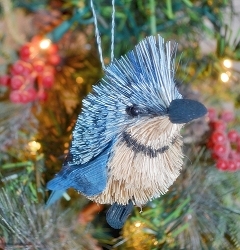 Brushart free standing animals and hanging ornaments are made in the Philippines from the fiber of the Buri palm tree. 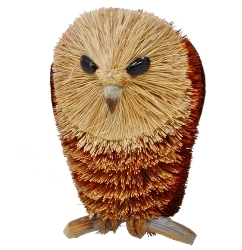 The fiber is twisted onto a wire, with the resulting round brush being hand cut into the final shape. 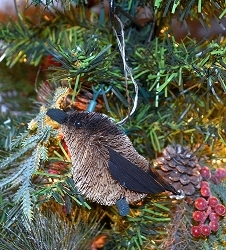 Many other hands work on dying, shaping and gluing parts to create our whimsical little animal friends and holiday accents. 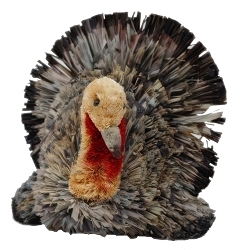 The eyes, ears, nose, feet, etc. 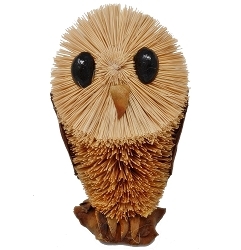 are made from seeds, pods and carved wooden pieces. 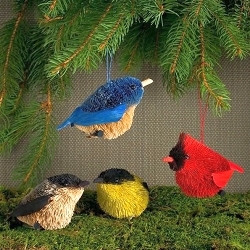 No trees or plants are destroyed in the production process. 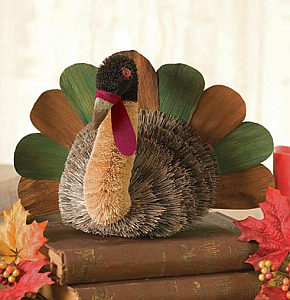 This product is a decorative item. 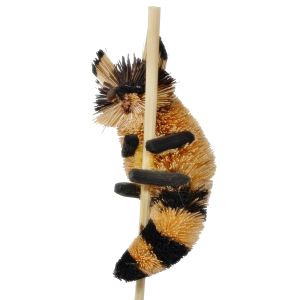 It is quite sturdy and is not damaged by handling. 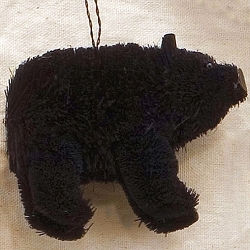 The wires in the middle of the animal can be bent to adjust the way the animal looks or stands. 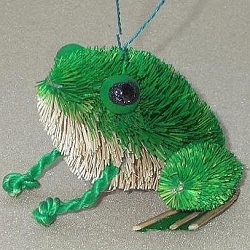 All Brushart figures make adorable ornaments and conversation pieces. Use them as holiday or year-round decorations. 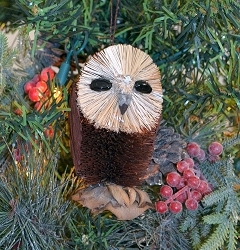 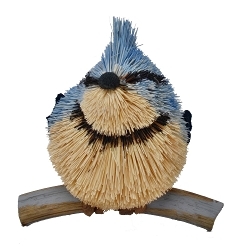 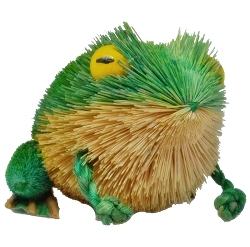 Brushart critters make great gifts and are sure to put a smile on anyone's face who sees one!